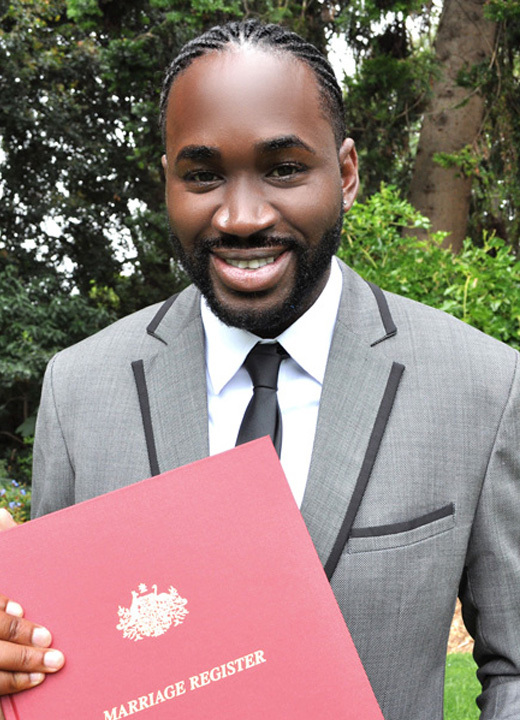 With meticulous attention to detail, accompanied by a killer wit and smile, Jermaine Clarke has been involved in creating and delivering ceremonies of various types in the United Kingdom and the Island of Jamaica for the past 15 years. Jermaine is a people person which this is the essence of what drives this talented celebrant. No job is too big and no detail is too small. Whether it is the most important day of your life, marrying your partner, naming a new addition to your family or saying goodbye to a dearly beloved friend, Jermaine’s love and passion for people shines through. Weddings, funerals, naming days, life celebrations… you name it…. Jermaine has done it. With charisma and charm, Jermaine will arrange everything and leave nothing to chance. Jermaine possess impeccable communication and organisational skills that set him apart from the rest while having the ability to captivate any audience with a delivery that is both eloquent and entertaining.